Stiftsgården is the King’s official residence in Trondheim. 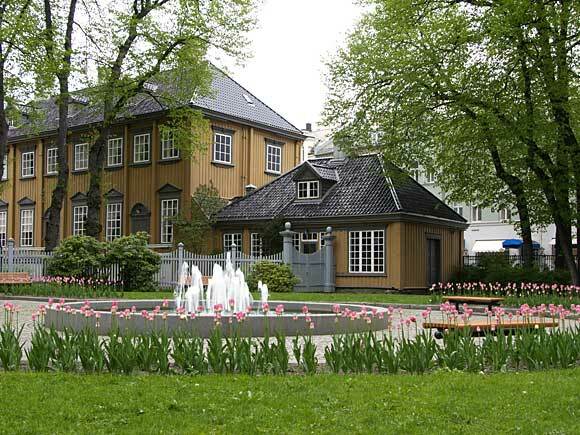 It is centrally situated on the city’s most important thoroughfare, Munkegaten, north of the main square. 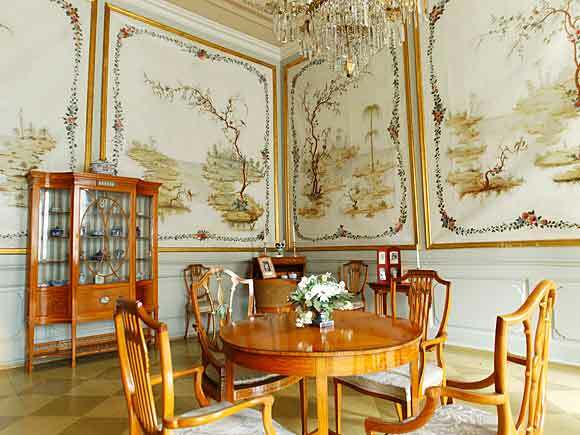 The palace was built in the 18th century and is one of the largest wooden buildings in Scandinavia. Owned by the state and managed by the central Norway regional office of the Directorate of Public Construction and Property, the building is at the disposal of the King. When Princess Märtha Louise was married in Nidaros Cathedral in Trondheim in 2002, the wedding celebrations were held at Stiftsgården. 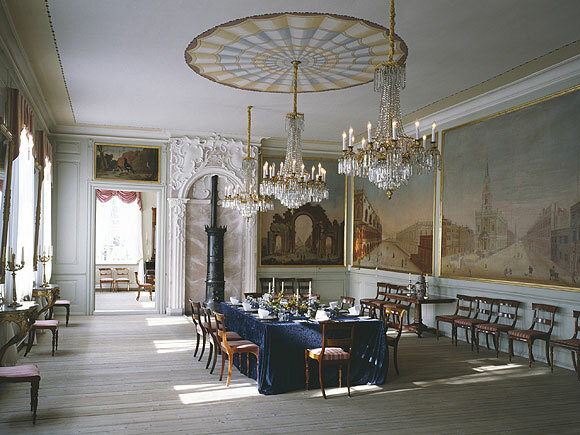 Stiftsgården was built by Privy Councillor Schøller’s widow Cecilie Christine von Schøller between 1774 and 1778. It was designed as a private home, and both its central location and its size indicated the family’s wealth and influential position. The opulent building had over 100 rooms. In 1800 it was sold to the state for 10,000 rix-dollars. 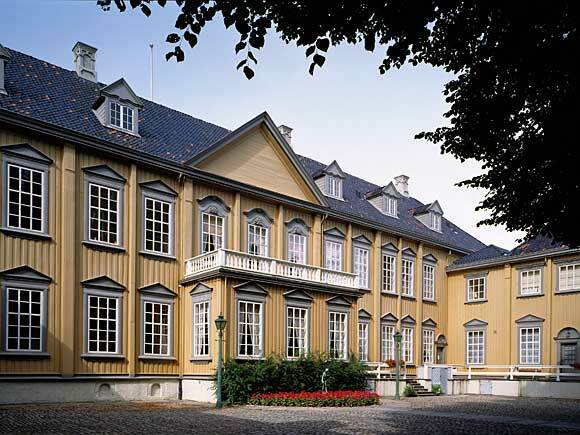 The house was the residence of the stiftamtmannen, the Lord Lieutenant, and the name means “house of the Lord Lieutenant”. 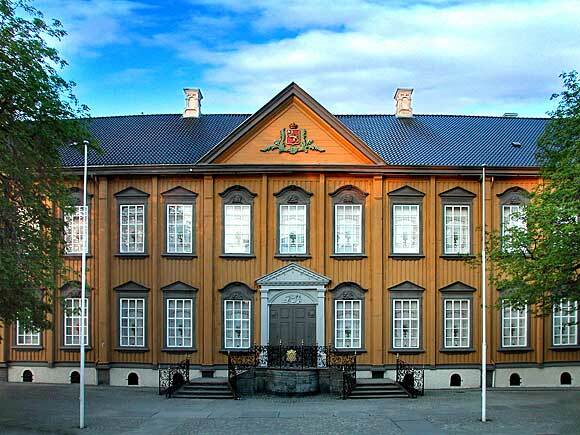 It was used to house the king when he visited Trondheim, and on those occasions the Lord Lieutenant had to move out. During the 19th century Stiftsgården was chiefly used in connection with the royal coronations, since it was traditional for Norwegian kings to be crowned in Trondheim’s Nidaros Cathedral. 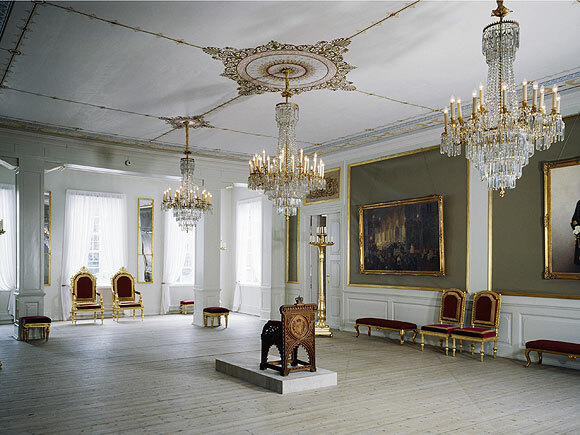 It was used for this purpose in 1818, for the coronation of Carl Johan, in 1860 when King Carl IV was crowned, and in 1873 for King Oscar II’s coronation. A coronation was planned for King Oscar I in 1844-45, but was ultimately cancelled because the Bishop of Trondheim refused to crown the new queen, who was a Catholic. In 1906 Haakon VII was crowned in Trondheim and both King Olav V and King Harald V were consecrated in Nidaros Cathedral. Stiftsgården has been used for the festivities held on these occasions and the processions to and from the cathedral start and end here. Stiftsgården was established as the king’s official residence in Trondheim in connection with the coronation of King Haakon. Stiftsgården is one of the best examples of Norwegian architecture. The style reflects the transition from Rococo to Neo-Classicism; the facade has the simple, disciplined lines of Neo-Classicism, and the details are Rococo. The building consists of a main wing and two side wings, and is built of notched logs clad in weatherboarding. The interior reflects the redecorations carried out for the coronations during the 19th century and in 1906. The palace looks onto the Rococo garden. Subsequently Stiftsgården has been renovated a number of times, for example in connection with the consecration of King Olav in 1958. 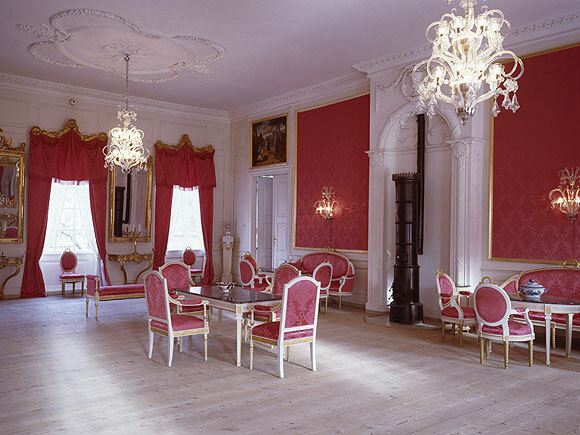 When the present king succeeded his father in 1991, plans were drawn up for a total rehabilitation of Stiftsgården, which was completed in 1997. Stiftsgården is open to the public during the summer. For details see the National Museum of Decorative Arts.